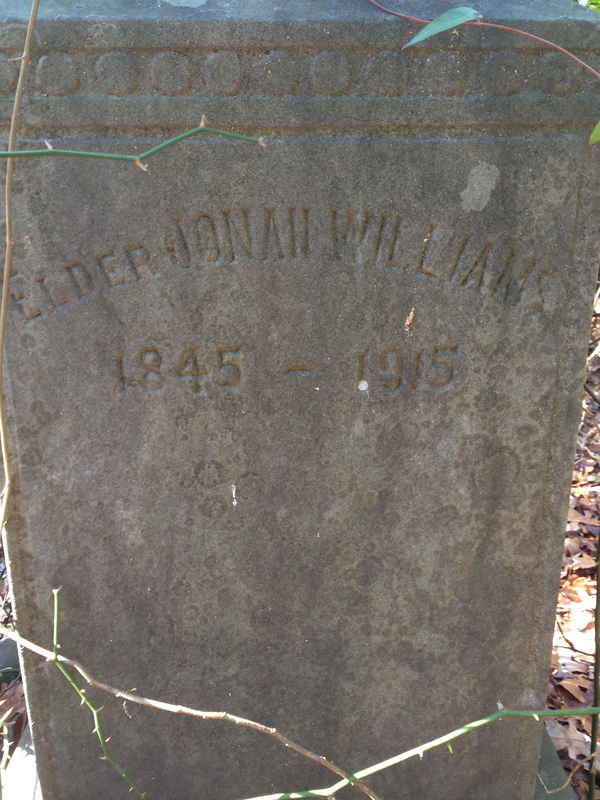 Jonah Williams, son of free woman of color Vicey Artis and her enslaved husband Solomon Williams, is buried in a now-overgrown cemetery near Eureka, Wayne County. IT appearing to the satisfaction of the Court, that Morrison Artis and his wife Sally are non-residents of this State: It is ordered by the Court that publication be made in The Southerner, for six weeks, notifying them to appear at the Court House in Tarboro’, on the fourth Monday of November next, then and there to answer said petition, or the same will be taken pro confesso and heard ex parte as to them. Witness, W.S. Pitt, Clerk of said Court, at office, the fourth Monday of August, A.D. 1853. W.S. PITT, Clk. The Southerner (Tarboro), 5 November 1853. The Lassiters and Artises were heirs of Hardy Lassiter. Daniel Artis’ will and estate. Item 1. Page 514 — to daughter Clary Edwards, wife of Henry Edwards, his interest valued at $172 in the tract of land on which Clary and Henry live. The tract was purchased from Debro Cobb with money advanced from Henry Artis. If $172 is more than the other’s children’s share, Clary is to make them even, and vice versa. Page 524 — to daughter Clara Edwards, wife of Henry Edwards, his interest valued at $172 in the tract of land purchased from Debro Cobb. His agreement with Henry Edwards has not been recorded. Item 2. Page 514 — to son Henry Artis, 1/4 interest in his real estate. Page 524 — to son Henry Artis, 40 acres, including the house in which Daniel then lived. Item 3. Page 514 — to the children of his son Lodrick Artis (Anna Randolph, Frank Artis, Lula Forbes, Madison Artis, Marcellus Artis, Ernest Artis, Dicey Batts and Hannah Artis) 1/4 of his estate. Page 524 — to the children of Lodrick Artis and his wife Mandy, 40 acres (land Lodrick resided on at the time of his death) and all buildings thereon. Item 4. Page 514 — to the children of his daughter Prior An Thompson (Isaac Sauls, C.D. Sauls, Maria Edwards and Clara Lane), 1/4 of his estate. Page 524 — to Prior An Thompson’s children and their heirs, 40 acres that Willis Thompson lives on. Item 5. Page 514 — $50 to daughter Mariah Swinson, wife of Jesse Swinson, to be paid from the shares of the others in the amount of $12.50 each. Page 524 — a committee to be appointed to assess value of shares and make Clara Edwards’ share equal to the others, difference to be paid within seven years. Item 6. Page 514 — none. Page 524 — Each lot to be taxed $12.50 to pay daughter Mariah Swinson, wife of Jesse Swinson. 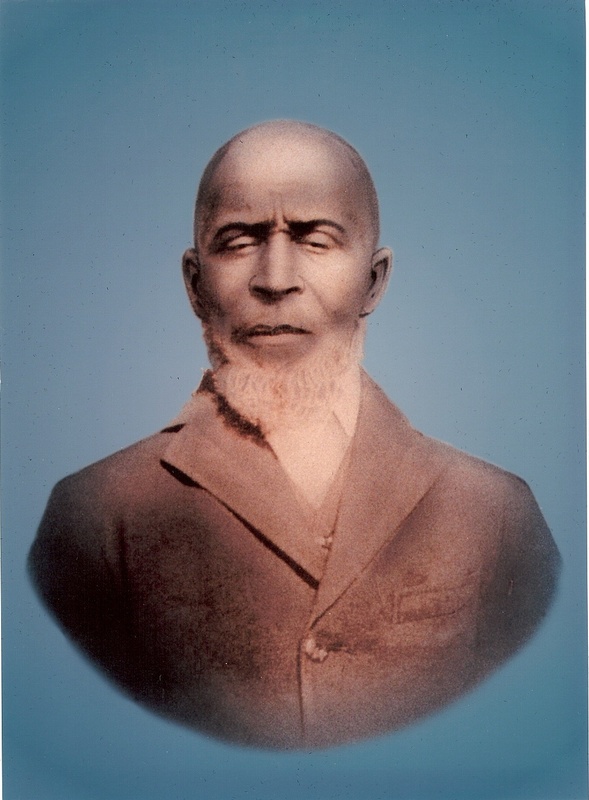 Grandson Isaac Sauls was appointed executor in both, Daniel Artis signed each with an X, and both were proved on 21 March 1905. Whatever his intent at clarification, things did not go well with Daniel’s estate. A Notice of Sale ran four weeks from December 1923-January 1924 in the Greene County weekly The Standard-Laconic announcing the sale of “a certain tract or parcel of land devised to Henry Artis by Daniel Artis by his last will and testament, … containing 40 acres.” The sale was advertised pursuant to a judgment in Greene County Superior Court in the matter of Frances Hall; Bennett Hall; Bessie Woodard, infant; and Alice Woodard, infant, by their next friend Amos Woodard v. J. Settle Artis and Roumania Artis. Settle Artis, who was Henry Artis’ son, had purchased the parcel at a courthouse sale the previous July. Frances and Bennett Hall were Settle’s sister and brother-in-law, and Amos Woodard was another brother-in-law, widower of Settle’s sister Dillie. 10. That the plaintiffs, heirs at law of Isaac Sauls, Mariah Edwards and Clara Thompson are the owners of three fifths of the land devised by Daniel Artis in Item 4 of his will to the children of his daughter Prior Ann and are entitled to have the defendant Cain D. Sauls declared to have the same held in trust for them and are entitled to an accounting of the rents and profits of the same from the date of his purchase in 1908. Instead, they alleged, C.D. Sauls had been keeping hundreds of dollars of rent for himself and, in 1928, had sold the parcel to Duffrey Edwards for $3000, with full knowledge by Edwards that Sauls was trustee for his relatives. C.D. denied all, of course. 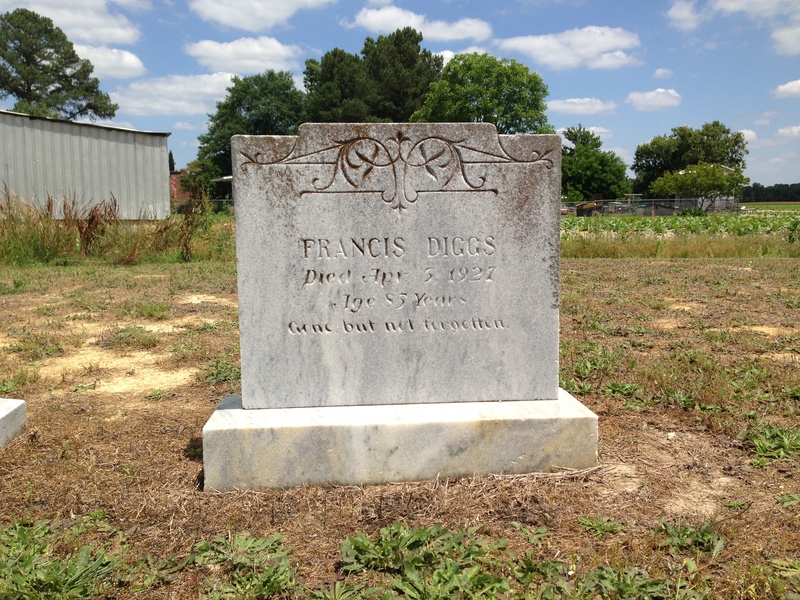 In 1937, his daughter and son-in-law, Willie Sauls Burgess and W.D. Burgess, were added as defendants after C.D. and his wife Ada allegedly tried to fraudulently transfer the disputed property to her. In 1939, the clerk of court entered a non-suit judgment noting that the parties had reached an amicable settlement. No details were included. The matter was over. There had been a photograph of Adam Artis, cousin Daisy told me, but it had been stored with other things in a barn, and rain had ruined it. She recalled an image of a brown-skinned man, or the suggestion of one anyway in the soft sepia and charcoal portraits of the day. If no photograph of Adam exists, however, there is one of his youngest brother. His image, in fact, is the only one known of any of Vicey Artis and Solomon Williams’ children. Richard Artis was born in 1850 in Greene County, very near Wayne. He spent his youth out of sight of censustakers, but in 1873, he married Susanna Yelverton (also known as Susanna Hall, the daughter of free woman of color Nicey [or Caroline] Hall and a white Yelverton.) Their children included: Lucinda Artis Shearod, Emma Artis Reid, Ivory L. Artis, Loumiza Artis Grantham, Richard Artis Jr., Susan Artis Cooper, Jonah Artis, Charity Artis Coley, Frances Artis Newsome, John Henry Artis and Walter Clinton Artis. Richard Artis farmed in northern Wayne County all his life. He died 12 February 1923 in Great Swamp township of apoplexy and was buried the next day by the son of his sister, Zilpha Artis Wilson. Photo courtesy of Teresa C. Artis. In payment of Confederate taxes, no. 1. Sworn to and subscribed to before me the 3 day of December 1863, and I further certify that the above estimate and assessment has been agreed upon by said Adam Artis and myself as a correct and true statement of the amount of his crops and the value of the portion to which the government is entitled. /s/ J.A. Lane, Assessor.